HTC has announced a new version of its Sense overlay, bringing with it a raft of new features. First appearing on the forthcoming HTC Desire HD and HTC Desire Z, the new UI will allow users to pre-load or pre-cache maps so there is 'zero wait' time for when you're panning and zoom. The new HTC Sense also brings a unified inbox, that will let you either see all or some of your accounts on your HTC phone. You can also see only 'VIP' friends or unread emails, and easily manage these using check boxes. HTC Smart Boot, another new offering from the Taiwanese firm, will also offer much quicker loading times. It claims that loading times will be cut from around 45 seconds to 12 seconds, meaning you can be up and running in no time at all. If you've got a DLNA TV in your house, the new HTC Sense UI can send all the media from your handset onto the screen too. HTC has also announced HTCsense.com, a new website that allows you to trace your phone using the GPS, or remotely wipe or lock the device from wherever you are. It's more than that though - you can also see you contacts, search text messages and ring your phone from wherever you are. 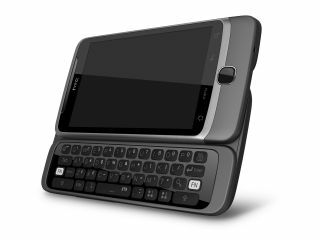 We're still waiting to find out when this is coming to older models too, but we're hoping that at the very least the HTC Desire and HTC Legend benefit soon.